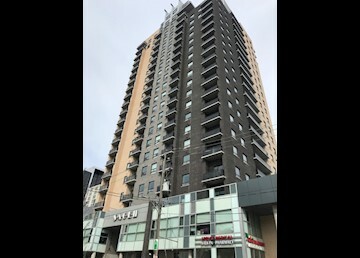 K-W Property Management Corp Presents: Located at 1809-318 Spruce St This gorgeous *Furnished* 1 bedroom unit in the luxurious Sage II building is ideal for young professionals or students. •	1 Bedroom •	1 Bath •	Open-concept floor plans •	Spacious balconies •	Stainless steel appliances- Fridge, stove, dishwasher, microwave, washer and dryer •	Granite counters •	In-suite laundry •	Onsite fitness facility •	Social lounge with smart TV + couches + meeting tables •	Outdoor Terrace •	Armchair •	50” Flat screen TV •	Coffee table •	2 Counter Height Bar Stools •	Media Unit Walking distance to University of Waterloo and Wilfred Laurier. Easy access to Conestoga mall, parks and bus routes. Medical clinic is just a few steps away. $1395.00 Plus hydro Available April 1, 2019 *Non-Smoking Unit* K-W Property Management Corp To book appointment check our online calendar for upcoming showings http://kwproperty.com/calendar.asp If you do not find a suitable time please email with your availability and we scheduled you in to view the unit.